Turkish fans twice in two months disrupted moments of silence for victims of Islamic State attacks in Ankara and Paris in a demonstration of the kind of intolerance bred by religiously-cloaked authoritarianism in countries like Turkey and Saudi Arabia. In Turkey, them is often Kurds, who account for up to 20 percent of the population. Kurds were prominent among the victims in Ankara in October and an earlier IS attack in July in south-eastern Turkish town of Suruc. The Suruc attack sparked renewed hostilities between the Turkish military and the insurgent Kurdistan Workers’ Party (PKK). On Twitter, these Saudis projected the recent downing of a Russian airliner and this month’s attacks in Paris as legitimate revenge for atrocities committed by French colonial rule in Algeria and Russia in its wars in Afghanistan, Chechnya and Syria. Turkish President Recep Tayyip Erdogan’s authoritarianism, packaged with a religious veneer, is primarily driven by the hubris of the Turkish leader’s hunger for power and grandeur. Unlike Saudi leaders, Mr. Erdogan is not beholden to a clerical counterparty. Also, unlike Saudi leaders, Mr. Erdogan has to take into account a secular society that is steeped in pluralism where debate is free-wheeling despite his attempts to suppress his critics and muzzle the press and freedom of expression. Mr. Erdogan’s conservative Islamism is moreover a far cry from the retrograde interpretation of Islam that Saudi Arabia, which claims the Qur’an as its fundamental document. Fan disrespect for the victims of IS violence “reflects an alarming sense of estrangement from the victims and the communities to which they belong. This lack of empathy could well stem from the callousness of excluding ‘the other’ (and possibly lead to one’s own sense of exclusion being transformed into radical hostility expressed in violent action) … The whistles and chants, which continued during the Greek national anthem, demonstrate how Turkey’s political culture has changed since President Recep Tayyip Erdogan’s Justice and Development Party (AKP) came to power in 2002,” said Al-Monitor columnist Kadir Gursel. Cumhurriyet newspaper reported that the youth wing of Mr. Erdogan’s Justice and Development Party AKP whose members had been granted free access to the stadium had instigated the booing of a moment of silence for the 130 victims of the Paris attacks at the beginning of a match in Istanbul between Turkey and Greece. Two of Cumhurriyet’s top journalists were indicted this month on charges of espionage for disclosing that trucks belonging to the Turkish intelligence agency MIT had been used to ferry weapons to Islamist opposition groups in Syria. Mr. Erdogan condemned the incident, not because it demonstrated contempt for the Paris victims but because it amounted to disrespect for the Greek national anthem. “There was a minute of silence, after which the national anthems were played. And then those irresponsible people, probably a few hundreds of them, started to boo. This is incomprehensible. We are not a nation incapable of tolerating even the national anthem of another country. That’s not in the genes of this nation. How would we feel if someone else did the same to us? One is supposed to listen through it quietly, and that’s it,” Mr. Erdogan said. Mr. Erdogan appeared to disregard the fact that it was Turkish nationals who killed 134 people in recent months in the Ankara and Suruc attacks. A Pew Research Center poll found this month that 18 percent of those surveyed in Turkey were sympathetic towards IS while 19 percent did not have an opinion about the group. Turkish-American soccer blogger John Blasing said the disrespect represented “a nationalist/Islamist undercurrent within Turkish society that has occasionally raised its head with disastrous consequences, and one that now wants to equate all Kurds and leftists with the labels ‘terrorists’ and ‘traitor.’ It is, for lack of a better term, a dangerous latent Islamo-fascism lying just beneath the surface of Turkish society. It is the same undercurrent that expresses itself in the Turkish state’s ambivalence towards ISIS,” a reference to IS’s former name. Turkish media reports and witness accounts from the pre-dominantly south-eastern Turkish town of Idil seem to bear out Mr. Blasing’s assertion. The reports included video uploaded on YouTube showing police forces clad in black and wearing balaclavas as the celebrated after an anti-Kurdish operation by firing automatic weapons in the air and chanting ‘Allahu Akbar,’ a break with past practice of shouting purely nationalistic slogans. 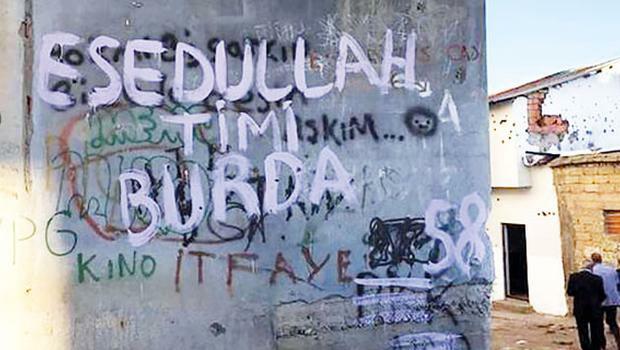 Graffiti on walls in south-eastern towns announced the arrival of Esedullah, the Lions of Allah. In parliament a Kurdish deputy compared the masked men to IS militants and asserted that they had chanted IS slogans while terrorizing civilians in south-eastern neighbourhoods and town. 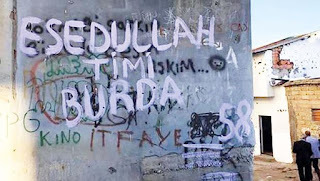 Establishing who Esedullah exactly are is difficult but Turkish media reports and witness accounts suggest that they are the Islamist soccer fans’ security force counterpart, units that carry their religiosity on their sleeve, operate with brutality, and reflect nationalist anti-Kurdish sentiment. Kurds in southeast Turkey charge their approach and mentality resembles that of IS. in a hip café in a middle-class Cairo neighborhood. offer a third choice: nonviolent resistance. deploy troops to the region. development in the streets of Port Said. To many people, the charges seem trumped up. one singular metal cage, which ultimately collapsed. served”, said one UWK member. of anti-government protests within the stadiums. teams for the 2018 World Cup qualifier against Mali. aimed at the Achilles’ heel of the Mubarak regime. alternative but to fight for control. believe in action and experience. They have balls. jihadi groups linked to ISIS. after security forces detained his father as a hostage. response. But it is difficult, and growing more so. forward to. They are hopeless and desperate. Ahmed and his fellow fans will go their own way. soccer fans often exploded into anti-British protests. after Nasser died in 1970, it slowly began to revive. interview with the online publication Jadaliyya. in the slogan in returning Morsi to office. about Morsi. Anything is better than this regime. ability to deliver, but they see no viable alternative.